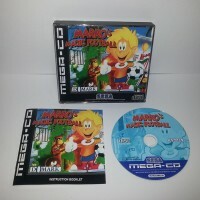 Marko's Magic Football PAL Reproduction Game for Mega CD. 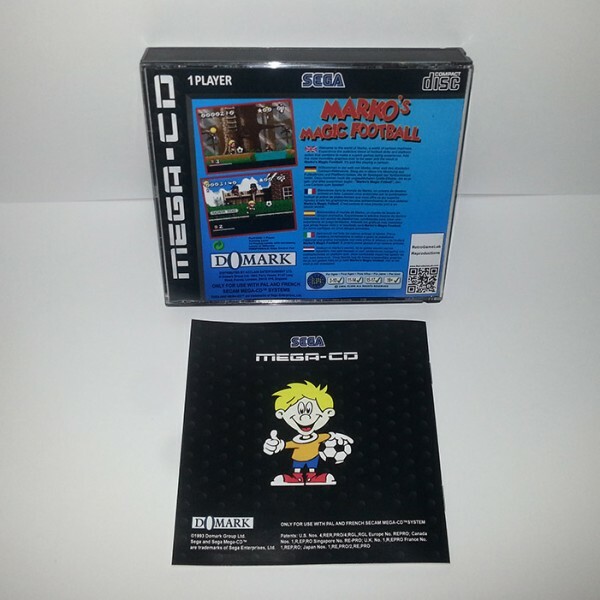 The game was developed by Domark Software for the Sega Genesis, Sega CD, Sega Game Gear and Super Nintendo. The Sega CD version contains additional cutscenes and redbook audio. High resolution printed CDR disc. Our CDR are the highest quality,worry free use and no console mods required.